My first doodler is ready and waiting for Clue 2! I have absolutely no idea what to expect!?! 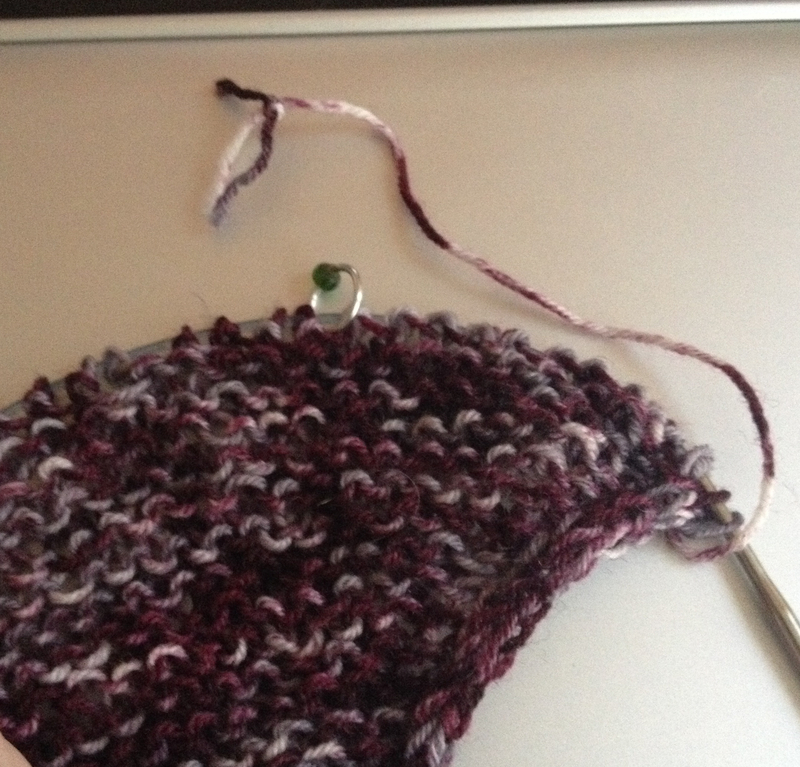 I am in the unfortunate group that ran out of yarn. Luckily, I ran out at the very end. That’s two garter ridges short. No big deal. Wedge 17 is an increase wedge with kfbs at the beginning of each ridge so, theoretically, I’ll be two stitches short. I don’t count stitches, so I’ll never know! Huzzah! I am now, cautiously, working on Doodler the Second. I don’t want to repetitive strain myself right out of commission so caution is necessary. 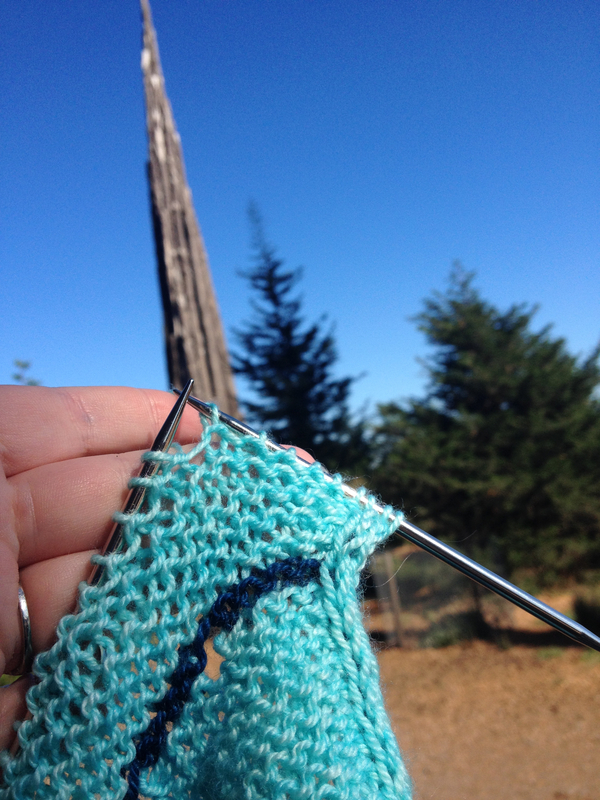 Knitting field trips slow progress, so today, we went to The Spire for a spot of morning knitting. It’s an Andy Goldsworthy installation in The Presidio. I love Andy Goldsworthy! He works with ‘found’ materials in nature, paying particular interest in how they change over time. 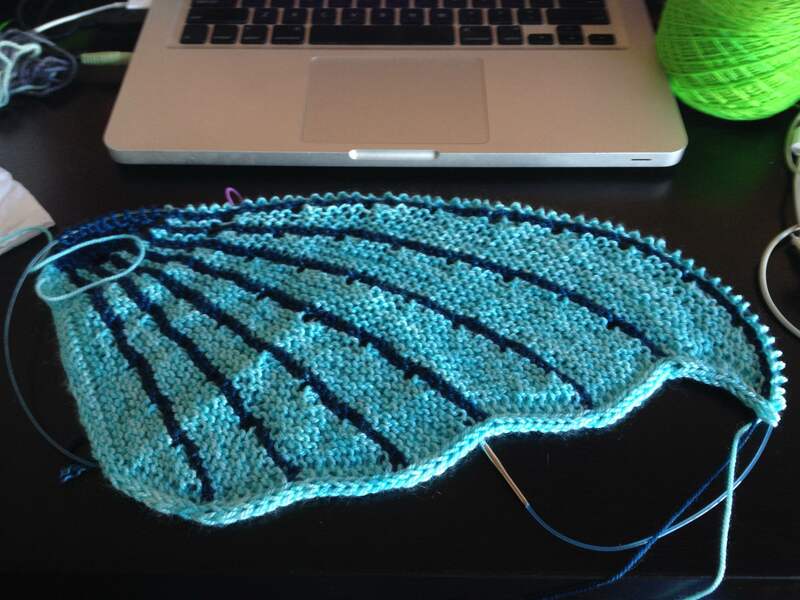 I enjoy keeping tabs on the progress. It’s a lovely spot for a morning knit! and so, I completed one little wedge. Almost nothing compared to the final wedge. I’m enjoying it, knowing how quickly it’s going to grow up! Love Andy Goldsworthy too! there is one of his egg shaped stone sculptures (‘strangler cairn’) about an hour from here. Still amazed that happened in country Queensland!! :)) shawls looking great so far.. I love those egg sculptures! Much like Stephen West, I love everything Andy’s ever done! 11 wedges down, 6 more to go…. I hate playing yarn chicken, so I ordered extra skeins of all 3 colors. 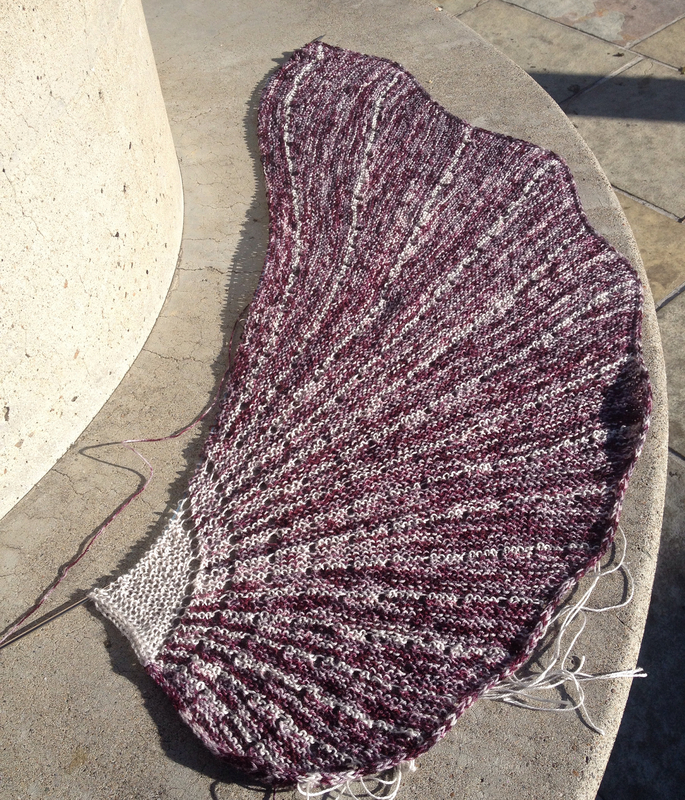 I see some kind of small matching accessory in this shawl’s future. Its getting more prettier each time I see it. Love the blue colours!! Stunning! Reminds me of a butterfly wing…so beautiful!